GET A GREAT NIGHT OF SLEEP CAMPING AND BACKPACKING – No more sore back or annoying discomfort from every little rocks or leafs underneath! 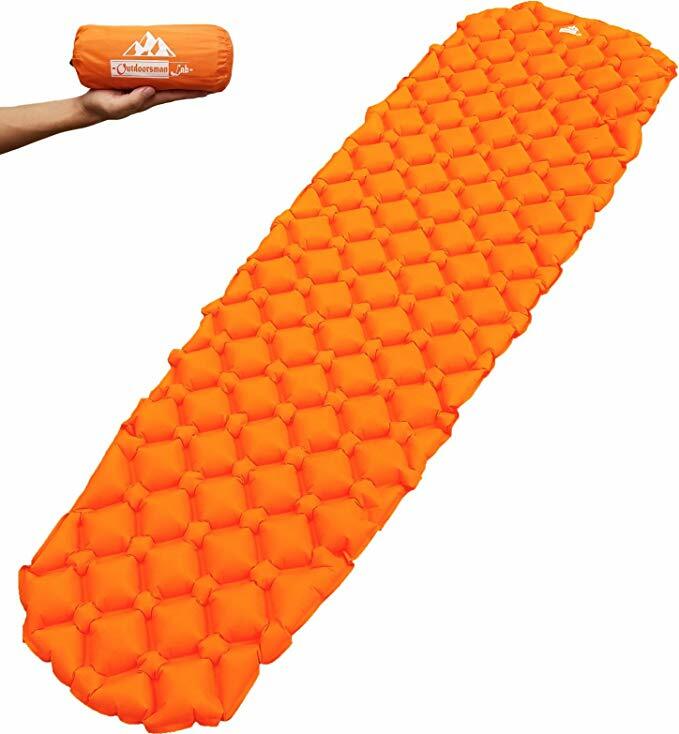 This 2″ thick PATENT PENDING ultralight sleeping pad uses individual (but interconnected) air cells that can adjust to your body shape to provide optimal comfort, support, and warmth (R-value 1.3). PERFECT FOR BACKPACKING, CAMPING,TRAVEL – Ultralight, Ultra-Compact and weights only ~16 oz and packs down TINY to 8″x3″x3″. Easily fit in your backpack and go with included sack. Get a great night of sleep wherever you go.